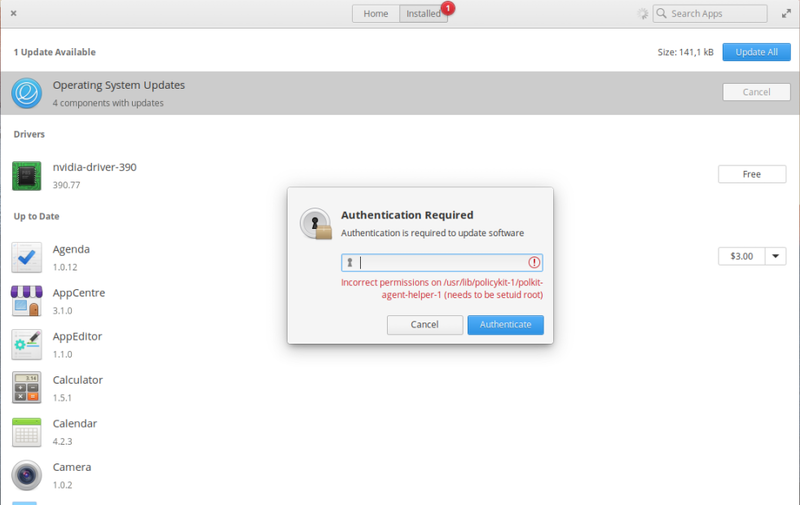 The two dialogs are flickering super quickly, you cannot enter the password. I also tried to paste the password, but it does not work. 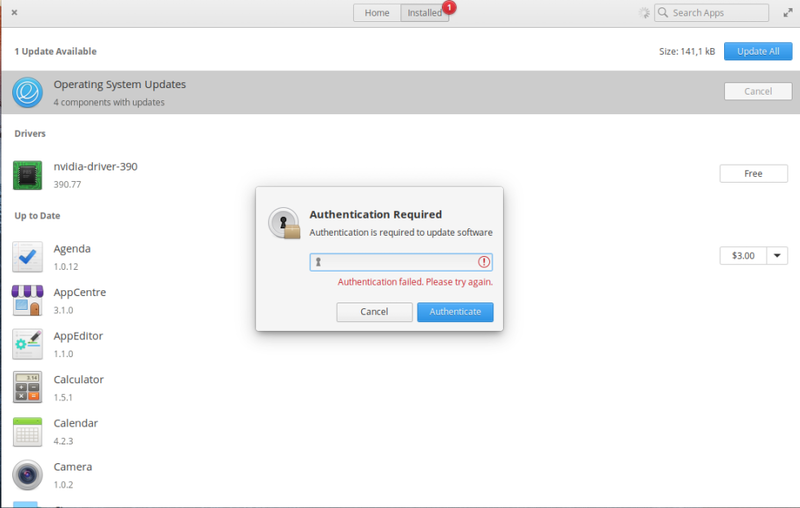 After the suggested command line, the auth window seems to be fixed. 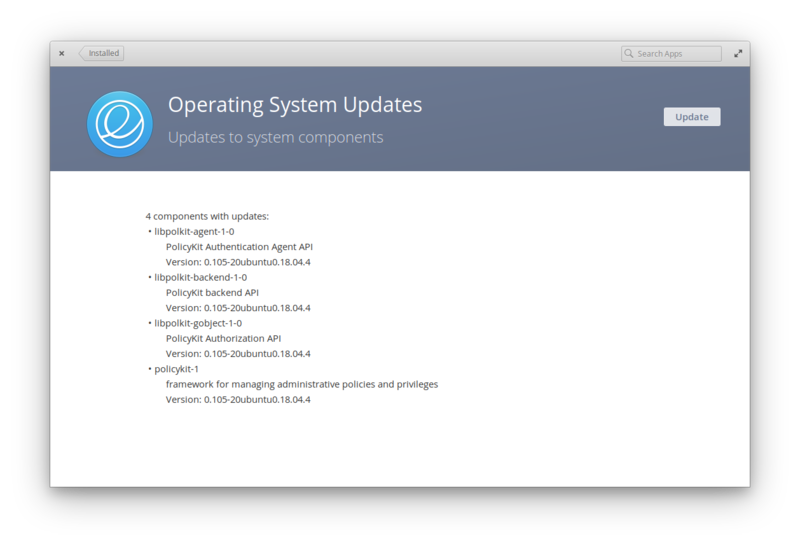 But when I update through AppCenter, I have the following and the update does not start. -rwsr-xr-x <-- the "s" in "rws"
Looks like on your system the seuid bit "got lost", as the first error shown on your screenshots correctly reports. That said, you should investigate on why the setuid bit was removed as usually it's not something that "disappears" on itself. Not the answer you're looking for? Browse other questions tagged updates security release-juno or ask your own question. 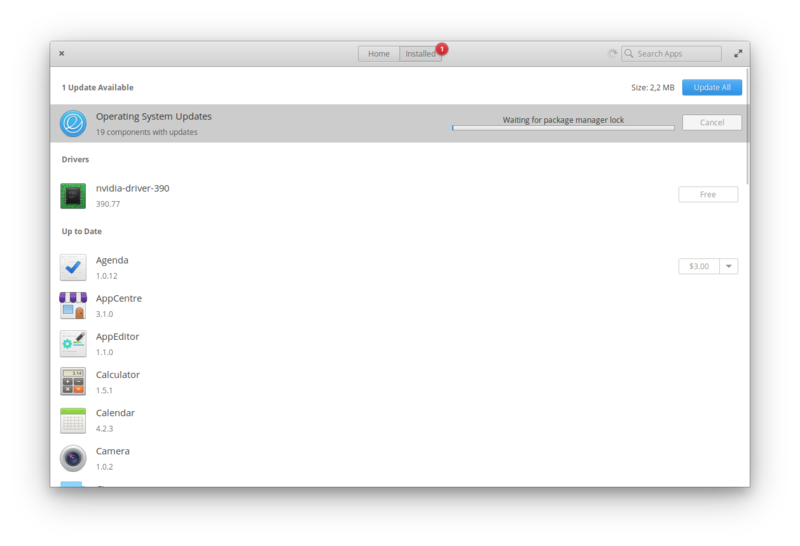 Waiting for package manager lock what does that mean?